Screenshot: Opening to Tony Hall's address to the Royal Television Society, September 20, 2018. YouTube. The speech also provided an important new admission – the BBC needs more money. After the last three tough 5 year licence fee settlements – the most recent previously described by Tony Hall himself as a “good deal”, the BBC simply cannot afford to be the influential and high reach public institution it needs to be in an age dominated by FAANG (Facebook, Amazon, Apple, Netflix and Google) – something will have to give or it will need more money from somewhere. However, that’s where the clarity ended really. On the age old matter of how far the BBC should pursue very high audience reach versus its other objectives of high quality content and distinctiveness, there was only the old mantra that the BBC has to provide “something for everyone” to justify a licence fee paid by all (except of course households containing someone over 75 at the moment). Whether this was something for everyone each and every day, or every week, or every month, or even every year was not made clear, even though that has a massive bearing on what the BBC needs to do and how much it needs to spend. 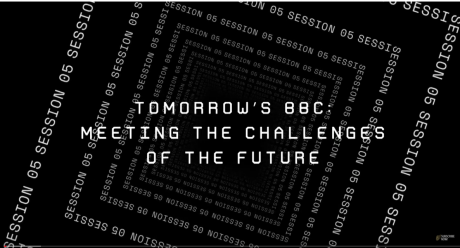 While there was quite a bit about “how” the BBC needed to change the way it operates – in terms of a shift into on demand services from linear, and a further move of production outside the M25 – and “who” it needed to do a better job of reaching – children and young people, there was much less about “what” the BBC might be providing. A brief mention of more premium content, less celebrity gossip on its web site, and a promise that they would do more to combat fake news – and of course a few named programmes – such as Three Girls, Mother’s Day and Bodyguard as the kind of output the BBC needed to be providing that a Netflix might not. Photo call for BBC One's Bodyguard at the BFI Southbank. Isabel Infantes/Press Association. All rights reserved.And then another and legitimate go at the regulators for letting FAANG companies play by different and more lenient rules than broadcast TV and radio and the public service broadcasters (PSBs) in particular, and not doing enough to preserve the UK’s PSB ecology. In terms of future output, the BBC needs to set out how it intends to significantly up its game over the next 5 and 10 years, and not simply rely on the fact that it provides relatively high quality output made in Britain and about Britain – which arguably it has always done. Nor simply quote the awards it is winning or finding 10 to 20 programme titles from any given year which were unambiguously good and popular to put in a speech or the annual report. By its own admission, the challenges are going to get more substantial, and so the response is going to need to be bolder and more courageous. And it may even need to decide whether providing something great or profound every month to everybody is better than providing something – anything – to everybody each and every week or day. The BBC needs a vision for its scripted output when compared with Netflix, Sky or even ITV – the balance between new UK-focused stories and themes, global projects with a UK input, and soaps and ageing stalwarts like Casualty, Holby and Silent Witness, and between crime dramas, period drama, adapted and original works – not to mention the classics and Shakespeare versus contemporary works, and one-offs, versus mini-series and series, and established stars versus new and diverse voices. On combating fake news and web based echo chambers, the BBC needs to outline what this means for the 10 O’clock News, Newsnight and Newsbeat, as well as having more series on Radio 4 like Sweet Reason, the Briefing Room and Analysis – which could be argued preach to the converted – those who do listen to the experts already. Which is why, in the coming months I will be using openDemocracy to stimulate a public debate about the BBC in its second century by publishing a series of short pieces about how and why the BBC should be upping its game both in general and then specifically in drama, comedy, documentaries, its coverage of business and the economy, news in general, the arts etc. I will also be assessing how much more money the BBC needs to reach the right people across all platforms – and what the contribution of commercial activities might have to be to enable this to happen. I will also be outlining how the BBC may have to adjust its whole approach to, and measurement of, public value and reach, in the twenty-first century. What is certain in all these areas is that the status quo is not an option. My aim is to take the debate about the BBC beyond the need for platform prominence and the need to reach the under 30s, and to address how it can add value to British life and British interests overseas in the twenty-first century, how much that might cost, who should pay the bill beyond 2022, and how we might assess how good a job it is doing. Screenshot: Tony Hall's address to RTS. 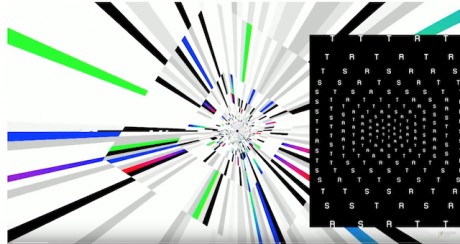 YouTube.This is the first in a series of articles aimed at starting a public debate on what the BBC should be providing, how much that might cost and how its impact might be assessed given the seismic changes in the media landscape and society ahead.